'Tisn’t an egg; it’s a deformed hoop with three small eggs balanced in it. And not for Carinthia, because gin. I’ll help wiv the gin! 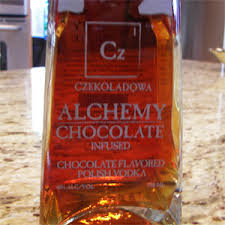 Now I like vodka as much as the next dipso and am not averse to chocolate, but one has to draw the line somewhere. BTW, Gus, Earl Grey tea izza a wonderful drink and those daffodils I sent you, up-thread, are growing in Earl Grey’s soil. I do have a fondness for perfumed tasting comestibles, I’ll allow. Nope. Not on yer nelly. Yet I love jasmine tea. And rose pouchong (coo, get me). So it is not an aversion to scented comestibles per se. As far as the tea goes, Lady Grey is a bit wet, in my opinion. However, Lady Grey azza proper person was just great, imho. Somebody very kindly gave me some, and I enjoyed it very much for a few weeks. I think the “Runsaan” which comes next means “rich” rather than “wealth” … I haven’t tried it yet. And lots and lots of little salty wheat crackers whose name escapes me. I am glad that you told me, Fishers. We do seem to be as one in the matter of dustbin nights. Our paper bin is full of dog-mangled cardboard.